The classic board game that has been played by over a billion people in the last 75 years, MONOPOLY® is a worldwide cultural phenomenon. 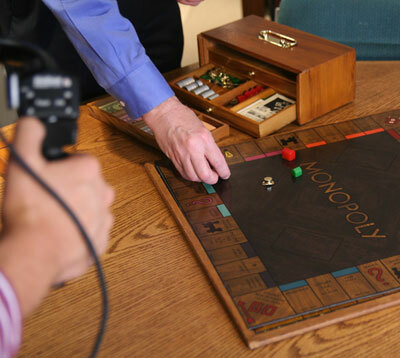 Under the Boardwalk: The MONOPOLY Story is a feature-length documentary that captures fascinating stories about the game and those who play it, with narration provided by Zachary Levi, star of NBC's Chuck, Heroes Reborn, and Disney's Tangled. &nsbp;- Matt, the defending U.S. champion, who tries to earn another trip to the World Championship, along with his girlfriend, a Las Vegas showgirl. &nsbp;- Dominic, who won the Rhode Island state championship in 1995 as a 14-year-old, and has always dreamed of becoming world champion. &nsbp;- Rick, a lawyer from Buffalo who wants to win the prize money so he and his fiancé can buy their first house. &nsbp;- Ken, who trained for 12 hours a day during his summers in college in the 70s, and has been trying to win a national championship ever since. 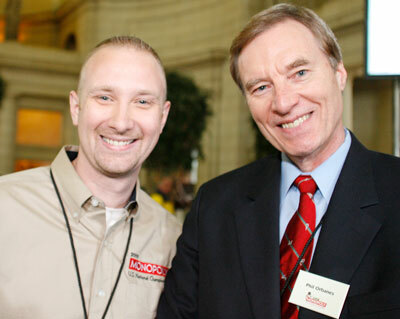 &nsbp;- Tim, a teacher in California who has used the math skills learned from MONOPOLY to help his sixth-graders achieve record test scores. &nsbp;- Bjørn, a 19-year-old student from Norway out to prove that a teenager can beat the seasoned veterans. &nsbp;- Geoff, a banker from New Zealand whose nickname is The Nimble Thimble (TNT for short, because TNT goes boom!). In addition to the competitive arena, the game of MONOPOLY provides a wealth of other interesting stories. Few people realize that the game began as an anti-capitalist political platform thirty years before it evolved into a game about getting rich and took the world by storm in the depths of the Great Depression. This documentary looks at how MONOPOLY was transformed and why it has become so popular. The game is now sold in over 110 countries around the world in 40 different languages. The filmmakers investigate the psychology of the game, and game experts let viewers in on the best strategies for winning. As a cultural phenomenon, MONOPOLY has a colorful history, including secretly helping WWII POWs escape, influencing movies and television since its inception, and being part of all kinds of interesting world records and trivia. (The longest underwater game is over 72 hours, and the longest continuous game lasted 70 straight days.) And no film about this classic board game would be complete without meeting a few of the quirky collectors of all things MONOPOLY. MONOPOLY began by bringing friends and families together, and now, through its universal language and World Championships, helps bring the whole world together. Filming locations included the U.S., Canada, Mexico, U.K., Norway, Japan, Singapore and Australia. Anchoring the film is Phil Orbanes, a former Sr. VP at Parker Brothers, author of 3 MONOPOLY books, and current Chief MONOPOLY Judge.